Oracle VM VirtualBox is most popular virtualization software in the world that enables you to run multiple operating systems on your PC, Mac, Linux, or Oracle Solaris machine. Oracle VM VirtualBox is cross-platform virtualization software. You can run multiple operating systems on your Existing PC at the same time. VirtualBox runs on Windows, Mac OS X, Linux and Oracle Solaris systems. It is most useful for the programmer that developing & testing software across multiple platforms on one machine. You can test new software on VirtualBox without installing & affecting you original Windows. VirtualBox is good Virtual Machine, Oracle VM VirtualBox added one new video recording feature, call Video Capture. With Video capture option you can record videos with Oracle VM Virtualbox without any software. How To Check Video recording started or not? How to Change Video Capture setting? 2- If You want to stop Video recording then again click on Video Capture Option in Devices menu. While Video Capture option running a video icon spinning in the status bar. 1- Right Click on video recording icon in status bar. 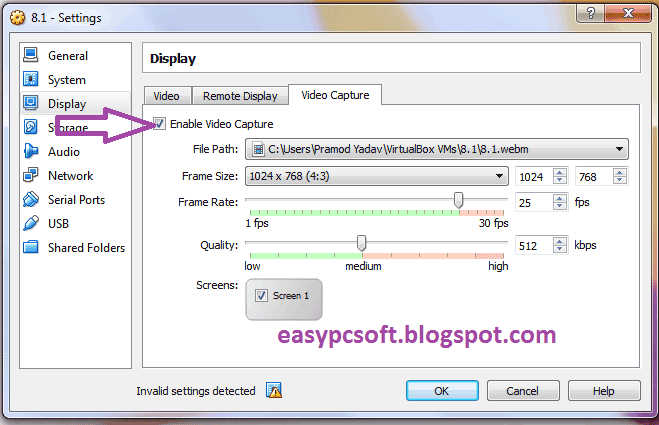 2- Click on Video Capture Setting. 3- On Video Capture Tab Click on “Enable Video Capture“. (1) File Path: Here you can choose file path, where you want to save your recording file. (2) Frame Size: Choose your resolution of Screen size. (3) Frame Rate: Choose Frame Rate Per Second. (4) Quality: Choose video capturing quality. If you want to good quality video then choose high. (5) Screen: This option must be enabled before start video Capture. For enable this option click on Screen 1 Checkbox. WonderFox DVD Ripper Pro Review. Track or find your lost Windows 10 Laptop online. Install a Guest OS in Oracle VirtualBox. Virtualbox: Fix full screen problem for all OS. 3 Easy ways to share files, folders & drives in VirtualBox. 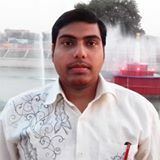 Any problem or suggestion please leave a reply in the comment box. This simply doesn’t work for me. I’ve followed every step in this guide and also in others I’ve found. It generates a 1kb .webm file which sticks at between 250-264 bytes. I’ve tried it on two different Windows 10 host machines and the same thing happens on both. The film reel spins happily away pretending to be recording the screen but it’s not actually doing anything. It’s a shame because this would be an extremely useful feature if it worked properly.